Most of us don’t remember how we celebrated our first birthday, thankfully there always seemed to be someone around with a camera to capture the precious and embarrassing moments. Walt Disney World is no different than the rest of us. With the Magic Kingdom, and the entire Vacation Kingdom, celebrating their 43rd birthday next Wednesday, is there a better time take a look back at one of the resorts first birthday photos? For its first birthday, Walt Disney World threw a party at the Magic Kingdom. 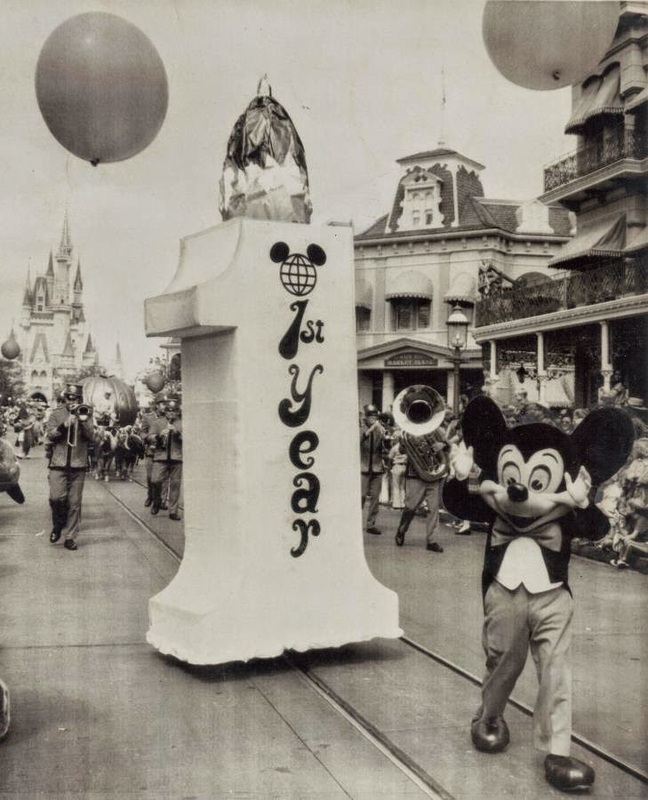 Mickey led the first birthday parade down Main Street, U.S.A. alongside a giant number 1 birthday candle. No party would be complete without a band and some balloons, both of which could also be seen throughout the parade. For the curious, and those that love having another piece of trivia at their disposal, the Magic Kingdom’s first year attendance was 10,712,991. Like WDW, I will be turning 43 next month! Keep the great articles coming!